“This is not a movement in art, not a new or fashionable style which is fated to disappear quickly. No, it is a new genre.”[i] It is the world of the total installation. Based on the conceptualist idea of Ilya Kabakov, the total installations originated as a movement in the 1980’s in the USSR. Born in the USSR in 1933, Ilya Kabakov emerged as one of the leading conceptualists along with Grisha Bruskin, Erik Bulatov and Rubenstein. Slowly deviating from the traditional concepts of art, introduced to him in the Leningrad’s Institute of Art, Kabakov focused his interest on actual everyday objects – remnants of Soviet life. Kabakov’s installations operate simultaneously on numerous levels: deconstructing the tradition of art while mixing in concepts of theatre, show, sociology, literature and history. This is why in his creations, he believes that the artist is to become his own art critic, historian and archivist. We will further focus our attention on the reality constructed within the installation of the Garbage Man (The Man who Never Threw Anything Away). This installation, similar to other Kabakov’s total installations, manipulates the viewer’s perceptions by entirely engulfing him in its totality. In contrast to the flatness of traditional paintings, in such space, the beholder is entirely consumed and finds himself psychologically controlled. Working on the threshold between garbage and art; living space and museum; archive and temple, Kabakov’s Gesamtkunstwerk creates an experimental atmosphere for the viewer’s perceptions. Generated on this threshold between modern and traditional concepts of art, the phenomenon of the total installation also rests on the border between success and failure. In its entirety, the Garbage Man encloses the viewer in a semi-illusionary space, where he is on the threshold between day-dream and conscious state: he is emotionally engulfed while having full control over his physical body. The beholder walks in a world depicted as a theatrical stage, which at the same time involves him intellectually with its literary pieces that are related to the garbage objects – which are displayed in the context of art. In a sense, the experience is rather ethnological than aesthetic. The Garbage Man is a unique creation, which works on the experimental threshold between the concepts of garbage and art. As a whole, it also questions the sense of space, representation and perception. Thus, the newborn total installation works on the verge of concepts and juggles with the viewer’s emotions. While it fully submerges the beholder, as it attracts his various senses, the installation also risks of repulsing the viewer with its suffocating totality and alienating him with its cultural specificities. In his explanatory article On the Total Installation, Ilya Kabakov tries to capture all the intentions and potentials presented by the installation as a whole. He further describes three types of installations: small (portraying a few small objects), medium (taking up an entire wall), and total installation (occupying an entire dwelling). Most of Kabakov’s works, including the Garbage Man, take up an entire dwelling and are constructed within the enclosed spaces of Soviet communal apartments. Installations vary from few to several rooms, to which access is given through the narrow hallways. In the case of the Garbage Man, the installation consists of three dwellings arranged consecutively: one leading into the next room. (See figure 1). Every room has a particular atmosphere, which is controlled by two main factors: the lights and the objects. Each dwelling in the communal apartment, which is used for the Garbage Man, contains an ocean of objects and texts. This overwhelming scene of objects engulfs the viewer’s attention, while at the same time its abundance creates a faceless mass where nothing is visible. As one focuses on a certain object, one sees that it is not just a random object; it is rather a random piece of garbage. However, these pieces of garbage are not placed where they belong – in the garbage can. No! They have been collected with precision, labeled and preserved. Some of them are placed under display cases; some of them in enormous glass cabinets, and others even framed and hung vertically on the walls. These garbage objects no longer function in the realm of garbage, but instead are presented in the context of artworks. Walking through the spaces, feeling the atmosphere and seeing how the objects are represented, one has difficulties in determining what one is facing: a human residence, a warehouse, a temple, or a type of museum. The beholder is thus captured by a space, which stands on the threshold of multiple concepts. It is after studying the whole “exhibit” that one understands that all these concepts can actually exist simultaneously. Objects are represented in the context of art and historical artifact; they are framed, hung vertically, preserved under glass and thematically labeled. The Garbage Man, as well as other Kabakov’s installations, portrays a space that stands on the threshold between: a residence, a museum, a temple and a warehouse. While it all seems to be sterile and enclosed, like in a museum or an archive, the space contains furniture that is normally encountered within a functioning home. For example, in the second half of the “museum” room, one encounters the owner’s bed, directly under the cabinet’s shelf. Just next to the bed, an opened-up bottle rests on the top of a small, wooden table. (See figure 2). Does the owner still live here? Will he come back any moment? These are some puzzling emotions and perceptions, which the viewer encounters as he moves from one room to the next. At the same time, the beholder is free to move anywhere within the space, however he doesn’t know that he is subconsciously manipulated by the space itself. As in a temple, the lights used within the total installation, control the viewer’s attention to a single or a group of objects. At the same time these directed lights construct the viewer’s perception and feel for the atmosphere. The lights, as the factor of mysticism, create a semi-illusionary space, which like the temple leads the viewer into another dimension: away from the total reality and into the total installation. As a whole, the intention of the total installation is to deviate from the dependency on the pure visuality. The idea that was also shared by the conceptualist Grisha Bruskin is: to engulf the viewer both visually and aurally, to manipulate his emotions, and to question his perceptions with the objects’ representation. In contrast to the painting, the total installation has the ability to fully swallow up the viewer. Whereas in painting, one is free to observe the flatness of the canvas from distance, in the total installation one becomes a slave within the three-dimensionality and the totality of the space. When a viewer enters the installation, he becomes part of this social space and cannot simply step back to observe it from distance. We shall now look at the significance of the name – Garbage Man. As previously noted, Kabakov is working on the threshold between concepts of space, perception and representation. We have observed how the Garbage Man installation constructs a space with varied facades: by including elements of museum, temple and communal apartment. In this sense, Kabakov works on the threshold of spaces. Going beyond the concepts of space, the Garbage Man installation further proposes and questions a new concept of art – garbage. In the above description of the particular installation, we see that every “museum” room exhibits a massive number of objects. Taken as a whole, what stands in front of us is not a regular museum, but as Kabakov calls it – “a museum of garbage”. (See figure 4). The rooms are flooded with innumerable quantity of all kinds of garbage objects: empty jars, wires, scraps of paper, boxes, personal belonging and etc. The garbage objects do not occupy their natural state of “forgotten objects” that reside in the dump. No, they are instead well preserved, framed and labeled, which places them in the context of art. Furthermore, let’s focus on the interaction between the text and the object. As in the Garbage Man, one is visually overwhelmed and intellectually intrigued. This combination of responses comes from the fact that each object carries a label. The text on the labels concerns the objects in such a way that it neither describes them nor represents them. It rather signifies an experience and a personal memory for the artist. Kabakov describes the role of the text as: “memory associated with all the events”. [ii] Words carry the memory; they comprise the story of our lives. The words become a dominant factor in the “work of art” because they carry the living memory within them. They are the literal signifier of the work, a literal reference to the past. As Kabakov says, “see words instead of object.” While the text becomes an interesting story attached to each object, the essence of these personal memories is only felt by the artist. This condition of the text relates to Kracauer’s theory on the photograph, which states that the paper only carries the textual information but not the emotional one. To the foreigner, the photo or the text is completely indifferent. The significance of the memory remains only for the one who has experienced it and has access to the mental picture, which these texts signify. [iii] In this sense, the pieces of garbage become treasures for the collector, but remain junk for the indifferent viewer. Kabakov also notes: “These memories exist only for me, while for others who don’t know my memories, these papers are simply trash.”[iv] In their personal significance, the texts signify a memory only to the collector but not his public. In other words, the texts bear personal remembrances, which do not seem important to the society and its overall history. Here Kabakov merges the spaces of private collection and public museum, which creates a space that is situated in the borderland between museum and garbage dump, between public and private life. Furthermore, the text – words, as Rosalind Krauss might add, create a space for criticism for the viewer. They construct a territory in the artwork, where education and knowledge facilitate the understanding of the viewer and influence his relationship to the work. Here are some examples of texts attached to the garbage objects: (See figure 5-6). In a sense, the text also introduces a cultural significance by mentioning names, belongings, concepts and daily habits that are specific to a certain nation – the Soviet society. This “museum of garbage” carries all sorts of reflections and fragments of culture, which bring up the memories of the past while trying to preserve them. On the other hand, these memories are more personal to the collector then relevant to a collective memory. In this sense, they open up an intellectual gap between the viewer and the artist. The text invites the beholder to participate intellectually within the opened up space for criticism, while at the same time it alienates him from the realm of personal memory. Here again, Kabakov works on the verge of personal and collective memory. With this type of presentation, Kabakov questions the viewers’ perceptions to the significance of the object. In his opinion, the viewers’ reaction toward the garbage objects should be the same as toward familiar objects from the Soviet lifestyle. He claims that their goal is to awaken the deep collective memory of the Soviet past and represent the specificity of the Soviet mentality. The Garbage Man represents this Soviet mentality through the interrelationship between the objects and the texts. It speaks of real life. Garbage holds in the living memories. As a whole, Kabakov brings back and characterizes the historical past as a mere collection of garbage. Nevertheless, this garbage signifies history. It is, thus an artifact. In this context, Kabakov illustrates the Russian lifestyle as one in which people live among immense quantity of suffocating garbage. In his installation, Kabakov depicts Russia as a metaphor for an enormous garbage dump, which stands on the border of remembering and forgetting, between loss and recovery of memory. We see that Kabakov’s installations reflect his perception of the real world, as they also bring up memories of the Soviet past. The Garbage Man enforces this suffocating feeling by overwhelming the viewer’s visual field with an ocean of garbage objects. They not only engulf him. The garbage needs the viewer, like memories need people to survive. Thus, garbage adopts the qualities of an artifact and becomes history itself. It adopts the qualities of a monument. In addition, Kabakov depicts the Soviet mentality- on Freudian terms- as one fixated on its history. In this sense, he believes that each object should evoke a collective memory in the viewers, just like monuments induce a collective memory of history. Going back, it is clear that Kabakov’s works are constructed on a personal ideology and represent a specific concept. However, in his installations he works on an experimental ground, which merges concepts of space and appearance. We see that in the example of the garbage objects he risks to work on the threshold between personal and collective memory, between the private and the public life. Thus, standing on the verge between these two conditions, the installation holds in a risk of misunderstanding and alienation from the viewer. Its excessiveness and overloadedness also risks the sensation of exhaustion and collapse of attention from the beholder. I believe that it is particularly the text, in connection to the objects, which creates an intellectual and cultural barrier between the artist and his audience. The indirect claim, which Kabakov makes through his garbage objects has an interesting potential. In a way, garbage can be described as a monument of some sort. It freezes time; it brings back the living memory and is preserved like a monument. Nevertheless, it is a different kind of monument – one that shows the precession of time. What is garbage? It is an object which has gone through a process of usage and has been discarded later as an unimportant, unusable piece of ‘junk’. Therefore, garbage is an object, or a piece of it, which remains to remind us of the progression of time. It is itself a metonym of time. When we think of Soviet monuments, we never associate them with the process of decay. We picture them as a solidification of historical moment that has the intention of existing forever among us. The sarcasm, which lies within the conceptual framework of Kabakov’s installations, also reminds us of Grisha Bruskin’s sculptures. Building off of the same concept, that monuments DO decay, Bruskin and Kabakov present their sarcasm for the Soviet utopia in different ways. Bruskin’s ‘monuments’ are a literal portrayal of the process of decay. Half broken, roughened up, scratched and knocked down by time… Bruskin’s sculptures depict the literal concept of decay. They show the antonym of utopia: its failed ideology. Instead, they create new types of heroes: the heroes of the future. They embrace the “age-value” of ancient structures and ruins. These heroic ruins, which Bruskin constructs, are what Mikhail Yampolsky might call, “an ironic momento mori”[vi] (See figure 7-8). In this sense, the works of Kabakov and Burskin are built on a concept of sarcasm – the mockery of the intentional monuments and their utopian goal to cement the historical memory. On the other side, Kabakov uses his garbage as a metaphoric portrayal of decay. He even goes further into the concept by presenting an opposition to the initial idea. Bruskin presents the decaying sculptures as literal effects of time, which sooner or later will disappear. However, Kabakov’s concept of decay again stands in opposition to its function and appearance. On one hand, we see garbage that illustrates decay… on the other hand; it is preserved and represented as if it is trying to fight its natural progression. It is adequate to mention here Susan Buck-Morss’ analysis of time in her article on Dream World of Mass Culture. In her discussion of Walter Benjamin’s visions, Morss focuses on his idea of the construction and destruction of historical objects. She cites Benjamin in his belief that construction presupposes destruction. She takes a note of the conflict between the object’s fore and after-history. The fore-history is described as the precursor of the present state of the object and reveals its possibilities. The after-history of an object though, portrays the shape in which it has in fact become. Morss helps us understand Kabakov’s explanation of the object’s natural history. It also makes us think about the nature of monuments and their natural decay that is clearly emphasized in the Garbage Man installation. Morss supports our analysis on the idea that Kabakov’s garbage objects are also like monuments, which nevertheless decay into their afte-history. Looking back at the installation, by putting garbage in the context of art – preserving it in cabinets and frames – Kabakov fights the progression of time and tries to regain the lost values of these objects. He seeks to reestablish their values by putting them in the context of artifacts and thus to cement them in an everlasting living memory. It is a battle against the effects of after-history and for the recover of values of fore-history. Here once again Kabakov’s installation sets a scene for interchange between destruction and preservation, forgetting and remembering. It is simply garbage in a glass case: decay put in an artificial vacuum. He portrays both the destruction and preservation of objects – history. Kabakov again achieves a perceptual opposition by merging two spaces together: the place from where garbage must be taken and the place to which it must be taken. It is thus difficult to understand whether the objects are being built or torn down. Following Kabakov’s trend, we know that he again works on the threshold of both – a simultaneous creation and destruction. “Art is the setting into work of truth…Art is historical. There are two factors to pay attention to when we analyze Kabakov’s comparison between garbage and art: the role of the beholder and the relationship between the objects and space. First of all, a beholder who is viewing a painting or a sculpture remains generally free: he is involved visually but not physically into the piece. On the other hand, the total installation engulfs the viewer visually and physically into its four-dimensionality. It is a space where, as Kabakov notes, “he is simultaneously both a ‘victim’ and a ‘viewer’.”[ix] Even though he is invited to participate emotionally and intellectually, the viewer is overwhelmed to such a degree that he wishes to flee the suffocating enclosure. In a way, the overwhelming visual field which Kabakov portrays with his massive ocean of garbage objects and engulfing atmosphere, relates to the visual perception one has in regards to monuments. Furthermore, when a beholder is viewing a traditional painting, he is emotionally but not necessary intellectually involved within the illusionary space. What I mean by intellectually is what Rosalind Krauss describes as the space opened up for criticism in relation to the text represented. In this sense, the Garbage Man portrays an interesting relationship between the text and the garbage object. As we have previously discussed, the text gives the object a whole new meaning – one of cultural and historical significance. Thus, the text opens up a space for criticism, which intrigues the viewer intellectually; while at the same time it risks to alienate him. The multiplicity of the texts and their cultural significance has a certain intention and expectation from the viewer: to evoke identification and a collective memory. However, the ideology of the text-object creates a risk of misunderstanding and cultural alienation. In relation to the painting, the object-text relationship in the total installation involves a higher level of intellectual involvement and thus is vulnerable to more problems and questions. Secondly, the merging of different spaces and concepts within the Garbage Man installation creates a Gesamtkunstwerk. “It does not only hold forms of plastic art – drawings, paintings, objects – but also other genres: literature, music, shows – ie. to be that very Gesamtkunstwerk which was dreamt about in the beginning of the century.”[x] While, it seems that all these objects don’t relate to their “exhibit” space as painting’s foreground relates to its background, there are small details which definitely control the atmosphere of the installation. As we have previously described, the lights play the most important factor in setting up the mood of the “exhibit” rooms. They control the interest level of the viewer, they lead him into the next rooms and they create the sense of accessibility. Furthermore, objects – even though framed in the context of art- do not relate to each other visually, but conceptually. The objects in the space are just random material leftovers, historical proofs of living memories, which have deteriorated and left time’s mark on themselves. As Siegfried Kracauer states, “the artwork disintegrates over time; but its meaning arises out of its crumbled elements…”[xi] They do not relate to each other through artistic medium, style or mark. They are related to Duchamp’s concept of the ready-mades, but carry a more personal and historical reference within themselves. These junk pieces signify a collective concept, just like a monument evokes a collective memory. However, they still remain somewhat indifferent to the space, which exhibits them. Unlike the painting in which the foreground relates to the background, the garbage objects do not contribute to the existence of the total space. Nevertheless, their own existence is truly dependent on the response of the public. Just like a monument cannot live without the people that have constructed it, so the garbage cannot survive without the viewer. 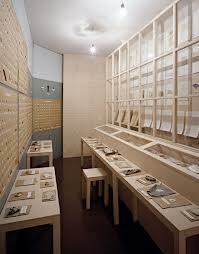 Merging concepts and spaces, Kabakov challenges the public’s perceptions with various aural, visual and literal works. The border between museum and garbage dump presents a border between remembering and forgetting. Kabakov’s installations question this border of time, presentation and space, as they experiment to merge these concepts together and create a Gesamtkunstwerk. Thus, working on such an experimental ground carries within itself the potential for innumerable problems, questions and possibilities. However, as Kabakov exclaims, “[the installation] is a very young art and the rules of its construction are still virtually unknown, as are its internal regularities and in general its deep structure.”[xii] Nevertheless, its potentials are rich. We shall wait and see – its evolution might in actual fact replace the historical tradition of painting. [i] Kabakov, Ilya. On the Total Installations (Paris: Centre Georges Pompidou, 1995): 245. [ii] Kabakov, Ilya. The Garbage Man (Norway: Museet for Samtidskunst, 1996): 63. [iii] Kracauer, Siegfried. The Mass Ornament (Cambridge: Harvard University Press, 1995): 65. [vi] Yampolsky, Mikhail. “Notes on Iconoclasm and Time” In the Shadow of Monuments. 95. [vii] Heidegger, Martin. Poetry, Language, Thought (New York: Harper & Row Publisher, 1971): 77. [viii] Kabakov, Ilya. On the Total Installations (Paris: Centre Georges Pompidou, 1995): 245. [xi] Kracauer, Siegfried. The Mass Ornament (Cambridge: Harvard University Press, 1995): 55.